We are pleased to offer our patients the CareCredit® card, one of North America’s leading patient payment program. The CareCredit® card is just as easy to use as a regular credit card, but it is designed specifically for your health and beauty needs. 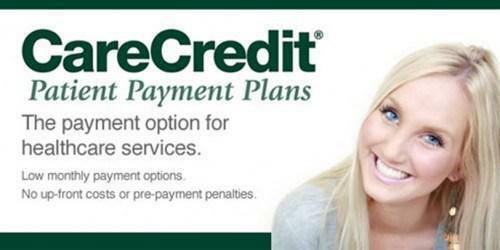 Best of all, CareCredit® offers convenient payment plans, financing options and no hidden costs. You can even use your CareCredit® card over and over for follow-up appointments. To learn more about CareCredit® financing or payment options for cosmetic procedures, please contact our office at (866) 598-4453 or info@blumfacialsurgery.com. We are also proud to offer our clients one of America’s leading patient payment programs, lendingUSA™. LendingUSA™ is an affordable, technology-driven financing solution with unparalleled convenience. The application process is quick, simple, and 100% online. You’ll receive a prompt credit decision and can then seal your contract with an easy click-to-sign procedure. To learn more about lendingUSA™, please contact our office at (866) 598-4453 or drop us an email at info@blumfacialsurgery.com.